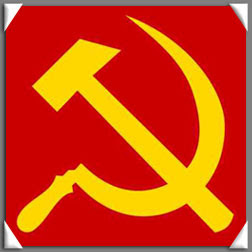 DAVAO CITY (Mindanao Examiner / Oct. 3, 2011) – Communist rebels have owned up to Monday’s raids on three mining firms in the southern Philippines and warned of more attacks against those who continue to destroy the environment and oppress civilians. Ka Maria Malaya, a spokesperson for the New People’s Army, said rebel forces raided Tag-anito High-Pressure Acid Leaching (THPAL-Sumitomo), Tag-anito Mining Corporation (TMC), and the Platinum Gold Metal Corporation (PGMC) in the town of Claver in Surigao del Norte province. “We warn other giant mining companies that the revolutionary movement is determined to defend the interest of people, including that of the environment. We also warn contractors who are working for these abusive giant companies that we will not hesitate to disable their mining equipment if they refuse to terminate their contracts with said companies,” Malaya said in a statement sent to the Mindanao Examiner. The raids were in retaliation for the human rights abuses committed by the mining firms against local tribesmen, peasants and workers. “Token immediate benefits, such as limited employment, miniscule taxes given to the local governments, alms to the Lumads (tribesmen), and other enticements, from the company cannot restore the irreparable widespread damage it will cause to the environment and to the general interests of the Lumad peoples, peasants, and workers in Caraga region,” Malaya said. The NPA accused nickel miner TMC of ravaging the province for nearly three decades which destroyed the environment. “It has ruined both fresh water and marine sources, devastated mountains, violated the rights of the Lumad people, and displaced the livelihood of peasants,” Malaya said. The rebels also said that PGMC plundered millions of tons of nickel ore which resulted in the total effacement of forest and mountains within its concession, as well as the destruction of rivers and seas. “Almost all workers in this company are under contract-basis, and the company is brazenly violating even basic bourgeois labor laws. It has also violated the rights of the Lumads. It is only right that its operations must stop,” Malaya said. “First, it uses, in massive quantities, sulfuric acid that is highly toxic to both humans and the environment. Second, this is a coal-fired plant that spews out tons upon tons of highly toxic fumes into the atmosphere. And thirdly, the said plant only processes millions of tons of low-grade nickel ore coming from different mines from the four provinces of Caraga region, as they prefer to export high grade nickel ore to foreign countries,” Malaya said. “At the rate they are currently mining both low and high grade nickel ore, in the next few decades, if left unabated, the environment in the region will completely be destroyed. The big bourgeois compradors and the imperialists have already denuded our forests and mountains, and now they are out to totally wreak havoc on what has remained of our environment with their indiscriminate mining operations,” Malaya added. Security officials said more than 200 rebels were involved in the attacks and that several people were taken by the NPA during their escape.